Enjoy fabulous ocean views from this custom-built oceanfront retreat located in the prestigious Villages at Ocean Hill. 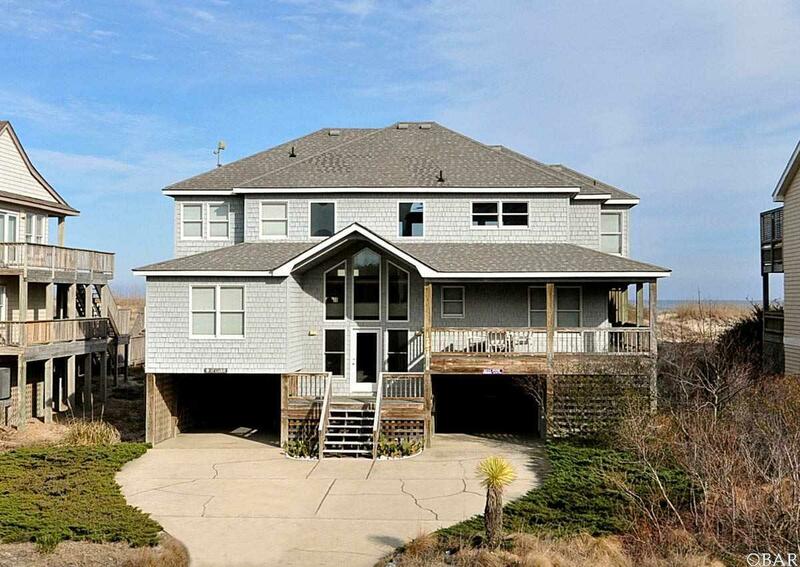 On the ground level, two carports, outdoor shower, and inside, a large bedroom and full hall bath. 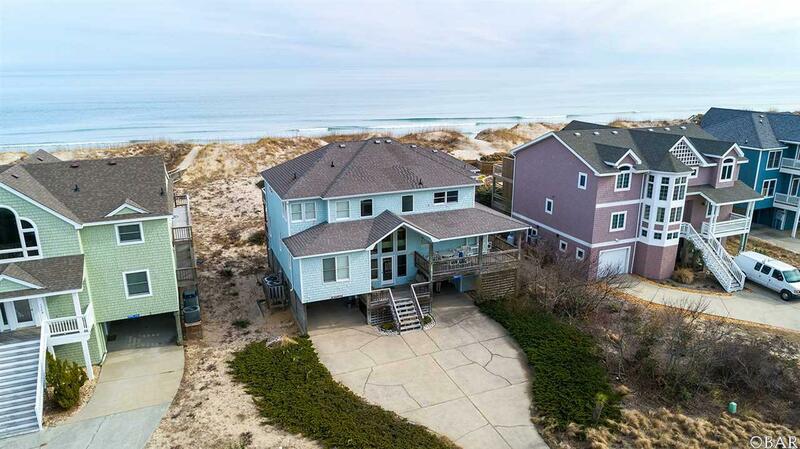 The middle level offers a tiled entry foyer, sitting room w/entertainment center, washer/dryer closet, a master bedroom, one bedroom w/semi-private full bath, two more bedrooms sharing a full bath, covered decks w/hot tub, and a private path to the beach. On the upper level, another master bedroom w/whirlpool tub & walk-in shower, a large greatroom with vaulted ceiling, hardwood floors, wall-to-wall windows facing the sea, gas fireplace, entertainment center, dining area, a half bath, kitchen w/stainless steel appliances & island seating for three, and a large open sun deck for those great ocean views. Extensive community amenities include ocean & lakefront pools, tennis courts, fitness center, playground, basketball & shuffleboard courts, 8-acre lake, and pedestrian walkways throughout. 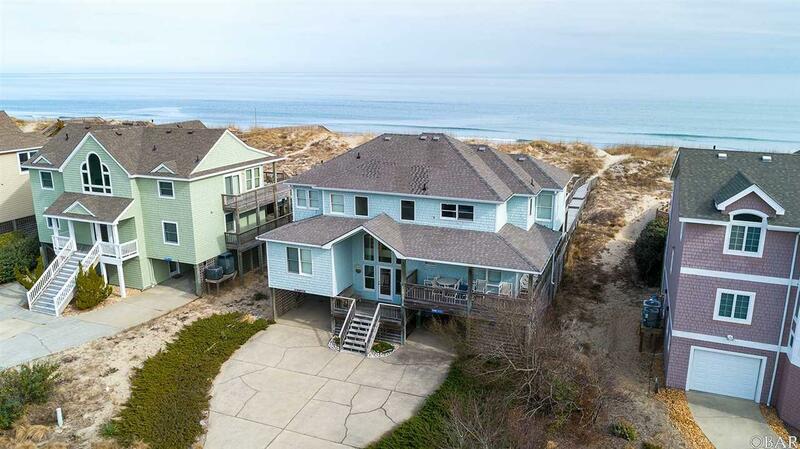 Close to shops,restaurants, 4x4 beaches, and Historic Corolla Village. 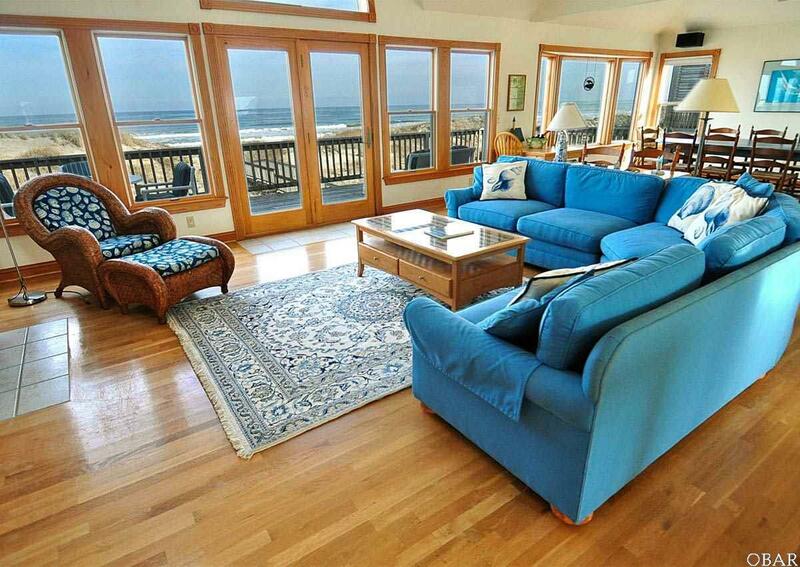 Listing courtesy of Martha Springer of Twiddy & Company - Corolla.